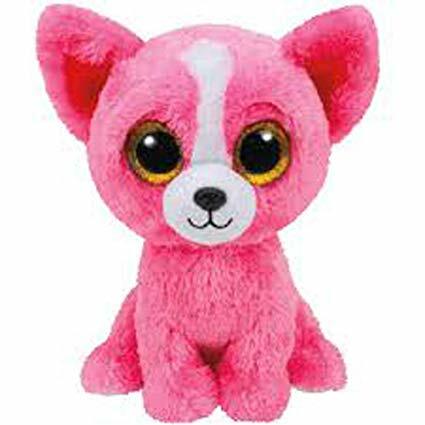 Pashun is a bright pink chihuahua with a white muzzle. She has large, glittery gold button eyes and a black button nose. The perfect companion for you, don’t you think! Pashun was released in January 2016. Her Birthday is on 1st February. Pashun was a Trade Show exclusive Beanie Boo. She was retired on 27th July 2017.